Get ready for a vibrant, thrilling and fabulous Chinese New Year celebration as eCurve gears up to welcome the Spring Festival with Malaysia’s very own diva extraordinaire, Datin Ong! From January 7 to 30, 2017, award-winning actor, singer and radio personality KK Wong will play the titular character in eCurve’s festive campaign themed “Datin Ong’s CNY Rendezvous”. Complete with snazzy glasses, big hair and quick-fire wit, Datin Ong will draw in audiences of all ages and backgrounds with a series of hilarious performances, from a stand-up comedy act to ‘expert’ tips on style and fashion. An impromptu concert will add to the entertaining act, featuring highly-animated performers dancing and grooving in a perfect complement to Datin Ong’s energy. Datin Ong's highly-animated troupe of dancers in action during the impromptu concert. Visitors to eCurve will not want to miss the laughter-filled show, taking place every weekend and Public Holiday throughout the campaign at the mall’s Centre Atrium. With brightly-coloured, custom-made lanterns dangling from above, casting a cheery glow over charming peony plants and festive decorations, the lively atmosphere will certainly showcase the arrival of Datin Ong in style! That’s not all! More exciting activities await, including energetic acrobatic lion dance performances. Visitors will also want to welcome a little good fortune into their lives by catching the God of Prosperity on his walkabouts around eCurve. Don't miss the chance to enjoy the energetic acrobatic lion dance performances. For those looking to get a head start on preparing for their festive celebrations, eCurve will leave patrons spoilt for choice at the mall’s Chinese New Year bazaar. Check out the plethora of great offers and deals on CNY merchandise, including apparel, accessories and more! Can’t get enough of eCurve’s Chinese New Year Campaign? Shoppers who spend RM150 and above in a maximum of two receipts on the same day will be able to redeem lucky Ang Pow packets as well as an exclusive, delicately-designed Floral Ceramic Bowl Set, courtesy of eCurve. All redemptions are subject to terms and conditions, and while stocks last. 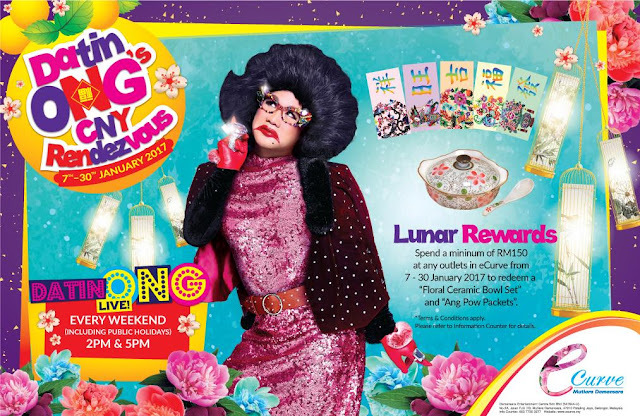 Catch the ever-witty Datin Ong as she puts on a series of hilarious performances at eCurve this CNY. Excited to learn more about eCurve’s Chinese New Year campaign? Contact eCurve’s Customer Care officers at 03-7725 0277 or visit www.ecurve.my or eCurve’s Facebook page at www.facebook.com/eCurveMall. Long time never visit e curve. Datin Ong? 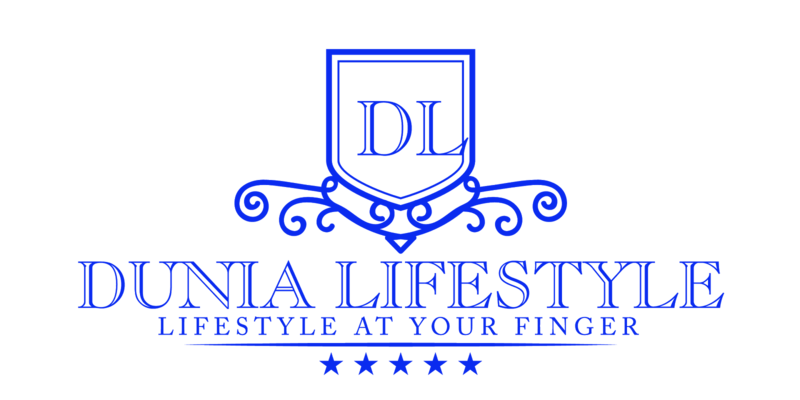 I only know after read your blog. I did not know that KK Wong is now also known as Datin Ong. I wish I could go and watch him/her one day. It would be a lark! Datin Ong = KK Wong? Hahaha no wonder I didn't know until I read your post. This is so new to me. It looks like is a good activity. Looks funnny especially KK act like a woman. Can't wait to watch it. looking forward to the celebrations! Datin Ong can grace the ceremony and festive season very well I am sure!